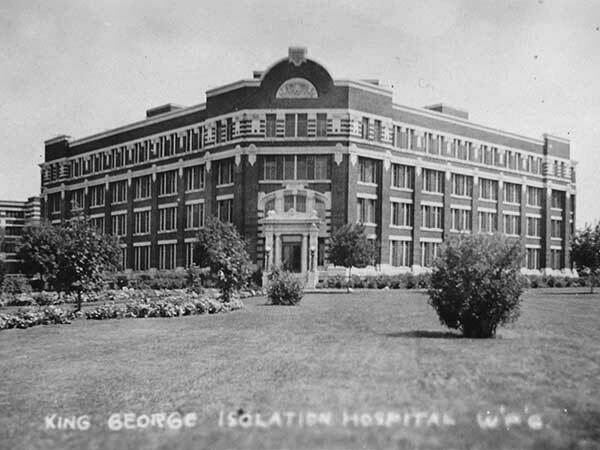 By the mid-20th century, the Winnipeg Municipal Hospital comprised three hospitals: the King Edward Memorial Hospital (opened in 1911), King George Isolation Hospital (opened in 1914), and Princess Elizabeth Hospital (opened in 1950). The King George Hospital, designed by local architect George G. Teeter, offered care and treatment of patients with communicable diseases. For its time, it was considered one of the most modern isolation hospitals in the world. It was a key facility over the years for numerous epidemics, including the Spanish influenza epidemic of 1919 and the polio epidemic in the 1950s. By 1960, the focus of care had changed to chronic illness. The four-storey, two-winged building was demolished in 1999 to make room for Riverview Health Centre’s new complex. A commemorative plaque is located beside the original main entrance of the King George Hospital. 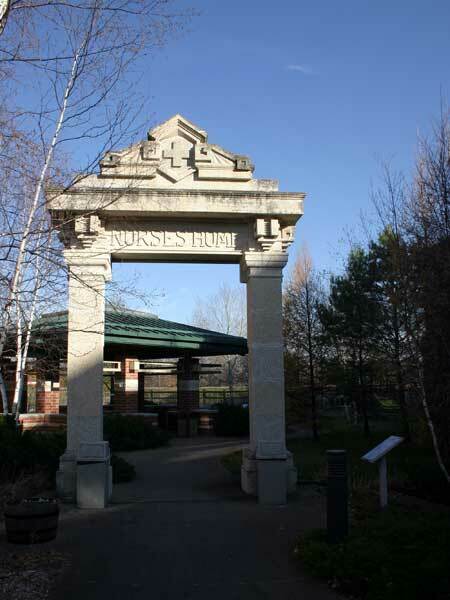 A Nurses’ Residence opened on the hospital grounds in 1921. It housed students from numerous affiliating schools of nursing. From 1979 until its demolition in 1991, the residence was used for multiple purposes, including staff housing. 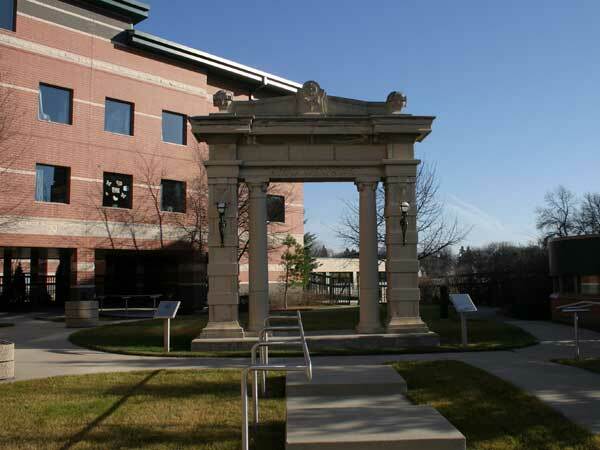 Its archway was preserved and remains at the site. Source: Archives of Manitoba, George Harris Fonds, Acc. 1979-141, P7447, Album 4, Page 20.